It’s that time of the year when we reflect on the good things in our life and hopefully, spread some joy and kindness. We are incredibly thankful for *you* — for your support, for the inspiration you provide, and for your generosity towards fellow crafters and MFT-lovers. To show our appreciation, we’re sharing our biggest and best sale of the year. For the next week, save 30% site wide. Treat yourself to new MFT stamps, Die-namics, and supplies; stuff stockings with fun accents and embellishments; create a starter kit for a new card maker — we’re confident you’ll come up with plenty of ways to take advantage of this incredible discount. Use code THANKS at checkout to apply your savings. Promotion valid for in-stock products only. Sale not valid on previous purchases. Valid for retail customers only November 21 – November 27. 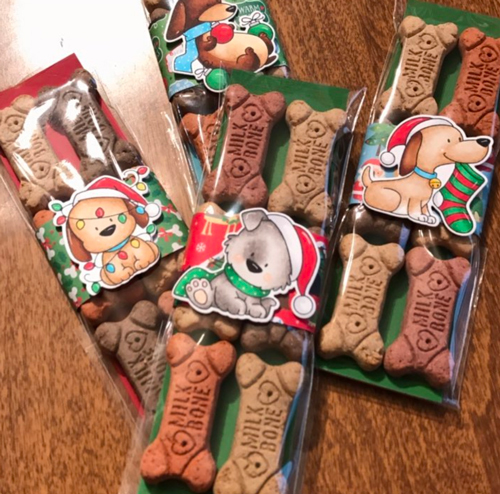 One discount code may be applied per order. Excludes brand new. 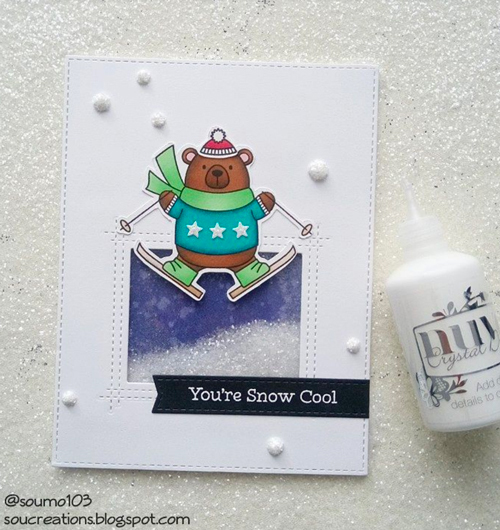 We love how Sou incorporated a shaker element on her card for the snow under her Ski-sons Greetings bear image. The Square Peek-a-Boo Window frames the scene with a sentiment strip perfectly layered on top. 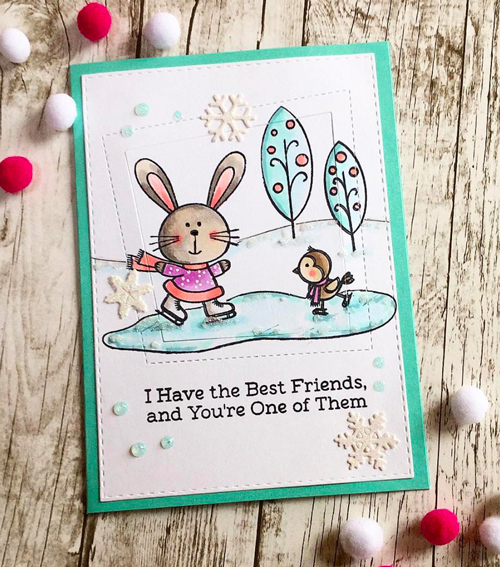 Tina created a sweet winter landscape featuring the adorable critters from the You Make My Heart Spin stamp set. The die cut Peek-a-Boo Wonky Window in the middle of her design adds a unique touch and really sets the scene as the focal element on her card. Teddy bears and puppies on a card together might be the sweetest thing ever. We love the sweet scene Tanja created - the addition of the bright, multi-color panel over the woodgrain background provides an excellent backdrop for her images. 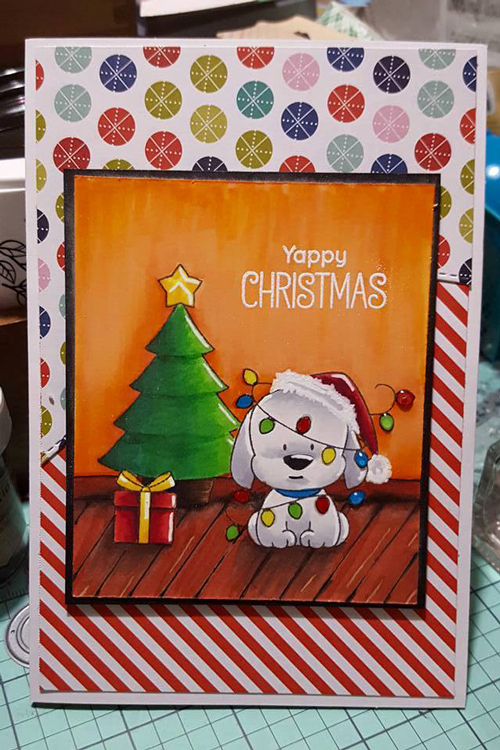 An amazing background created with Copic markers and beautifully colored images make for a pretty great holiday card design! We adore this delightful scene created by Jules.